The Nevada Mining Association’s 39th Annual Convention was held the first week of September, right after Hurricane Harvey devastated Houston and while Hurricane Irma was looming over Florida. At the convention, members of the NvMA came together to support victims of the hurricane by making donations to the American Red Cross. At that time, CEO of Cyanco, Jeff Davis, made a pledge to match the total of all donations made to the American Red Cross by the Nevada Mining Association’s 620 attendees. He then invited Cyanco employees in Nevada, Canada, Texas and Mexico to join the effort to help displaced Houstonians and Floridians from affected communities. The American Red Cross graciously assisted Cyanco in setting up a web link where employees could donate to help victims of both Hurricane Harvey and Hurricane Irma, both of which devastated friends, family and co-workers. Together they raised $15,270 by September 30, 2017. 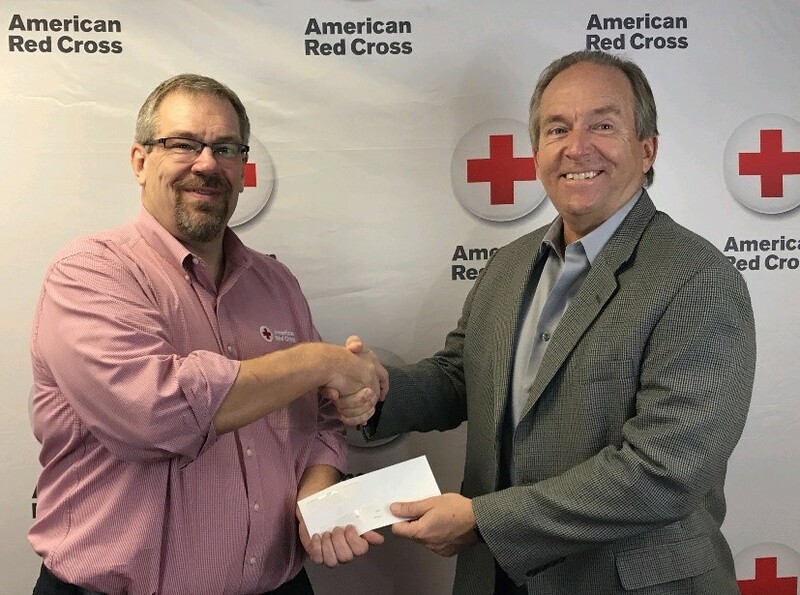 Mr. Davis then delivered a matching check from Cyanco to the Regional Executive of the American Red Cross, David Brady, on October 13, 2017.h Thank you to the Nevada Mining Association attendees and Cyanco for donating a grand total of $30,540 to the American Red Cross! Cyanco is a business with deep ties to Houston with headquarters housed in the southeast area of Houston and an operating plant in Alvin, Texas. Cyanco displayed that their employees are top priority as leaders checked on employees daily while having to evacuate their homes at the same time. In turn, Cyanco employees reached out immediately to help their communities with donations, shelter assistance, and recovery efforts. All are proud to be Texas strong and members of the Cyanco family!